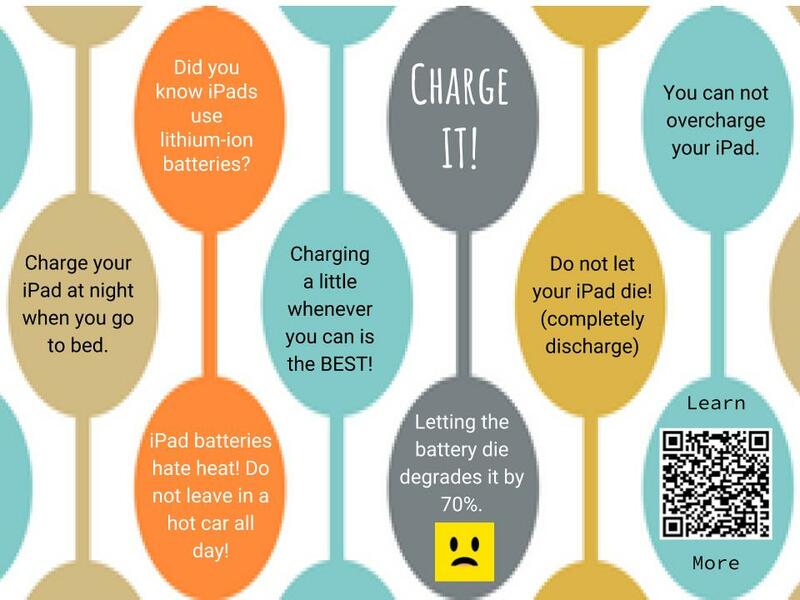 Did you know iPads, cellphones, and laptop computers use lithium-ion batteries? According to Popular Mechanics, most lithium-ion batteries have a rated lifetime of somewhere between 500 and 1,500 charge cycles where one cycle is one bout of discharging. Don't let your battery completely discharge (let it run down to zero before recharging) because it can degrade to 70 percent of its original capacity (300 to 500 charge cycles). On the flip side if you plug in your device when the battery gets to 75% remaining, that same battery can be charged up to 2,500 times before it starts to seriously degrade. And good news, you can't overcharge your device, so keeping it plugged in is not detrimental to the battery. Click here to read the full Popular Mechanics article: 8 Essential Tips to Keep Your Phone's Battery Health.